DSLRs help us take amazing photographs. However, it's functionality is not limited to just photos. These expensive professional cameras can also take amazing videos thanks to the tech built inside them. But given the weight of a standard DSLR, it can be quite hard to carry it and still take shake free videos. This is where gimbals come into the picture as they allow you to take amazing videos with little to no shake, which can be quite crucial for still videos. 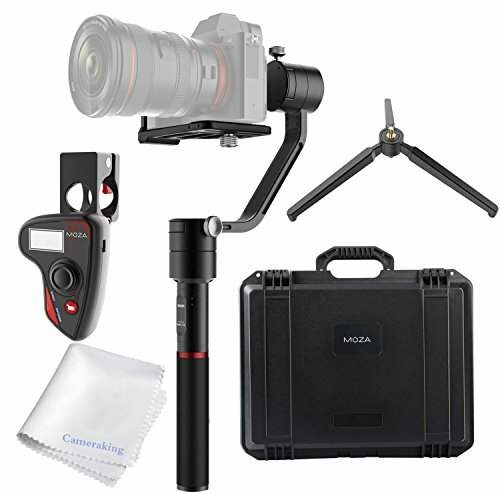 We recommend the MOZA Air 2 as the best handheld gimbal stabilizer. It is a solid choice at an affordable price point. Every DSLR is built differently, but there are gimbals that work with every DSLR or at least a large majority of them. Keeping this in mind, we're going to talk about five gimbals that are meant for DSLRs. If you've always wanted to shoot amazing videos on your DSLR, but couldn't, this is an accessory you need to have. This list includes a decent spread of popular and underrated offerings, so be sure to have a close look at them all. MOZA Air 2 is capable of handling most DSLRs, mirrorless cameras and pocket cinema cameras. It will balance your camera up to 9 lbs (4.2kg). This gimbal includes four high rate Li-ion 18650 replacement batteries, which will give you a whopping maximum runtime of 16 hours. The MOZA Air 2 has an additional input port to power the gimbal as well as 3 output ports that can power your accessories such as focus, LED light or a monitor. There is also an app call the MOZA Master App, which allow you to connect via bluetooth to your phone to control the gimbal remotely. 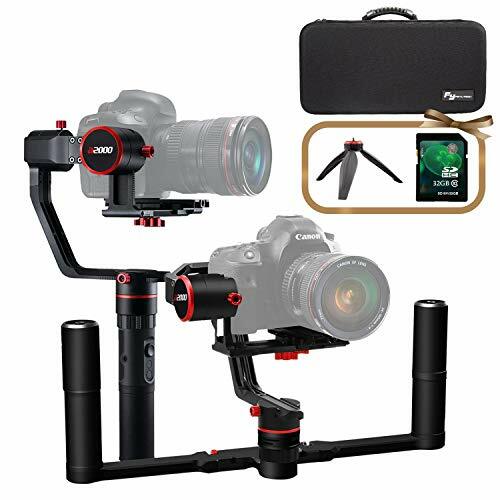 Overall, the MOZA Air 2 is a solid buy at this price point for your primary gimbal functions, which is to create smooth and stable videos from your camera. 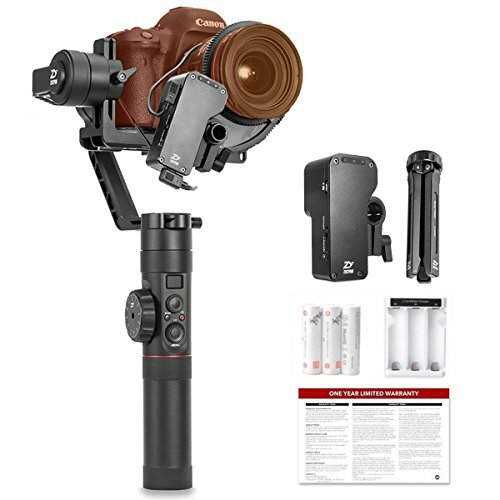 This gimbal comes with all the features that you would need for a standard DSLR. It can hold your camera steady, while onboard controls help you navigate the features of the camera. Some Sony camera can also be charged using the gimbal, although the manufacturer doesn't specify the make or model. The camera comes with 50% improved torque and 77% increase on payload of up to 7 lbs. This assures that even the bulkiest of cameras stay properly attached onto the gimbal. As with any gimbal this one too comes with its own set of controls that help you to pan the camera in the direction of your choice. 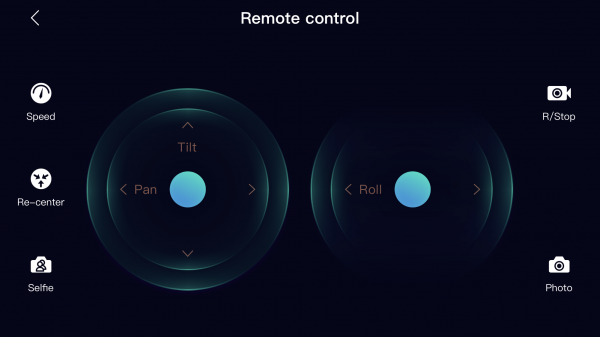 The gimbal can also let you know of the connection status, battery level, camera mode and a number of other camera related parameters. It is advised to calibrate your camera properly before using the gimbal to avoid any issues. The manufacturer offers an 18-month warranty with this product, so you can be assured that any issues or defects with the product will be covered by the company. Unfortunately, the product is currently out of stock, and we expect a fresh price to be quoted by the manufacturer shortly. This company makes gimbals for handheld action cameras, so it's only fair that we see a DSLR gimbal by the manufacturer. In terms of construction, the Feiyu a2000 is pretty robust and maintains a strong hold of your camera as long as you've attached it correctly. There is a shutter button on the gimbal, allowing you to shoot or stop recording videos without having to touch the camera. 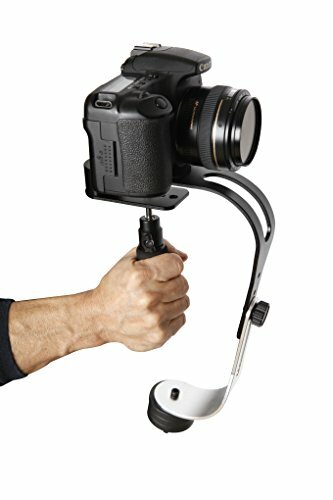 The design of this gimbal accommodates long video shoots as the support is pretty robust and can be held for long intervals. As far as payload is concerned, the a2000 can take up to 5.5 lbs, so even the bulkiest of cameras should have no issues with this gimbal. The handle here is detachable, allowing you to add more accessories and add-ons as and when they become available. Operation is fairly easy, thanks mainly to the fact that all the controls are well laid out on the gimbal. There's no warranty information mentioned by the company, but a standard 12-month warranty should be included with the product. As you would know, DSLR gimbals don't come cheap. This particular offering is priced at $549.99 on Amazon. The term Air is indicative of its lightweight nature, and the MOZA Air doesn't disappoint. 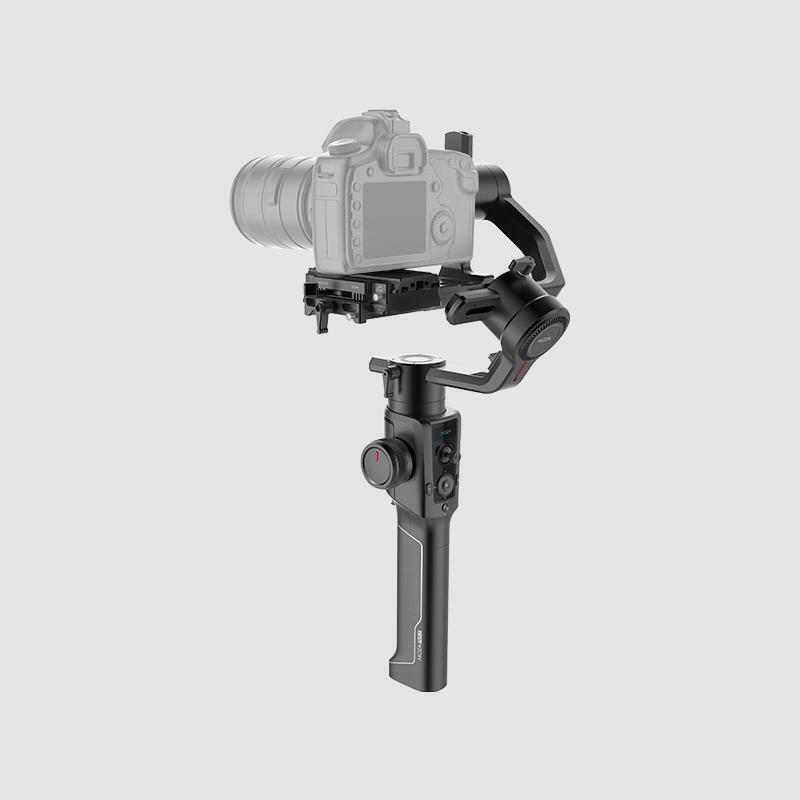 Capable of handling pretty much every mirrorless camera in the market, you can convert your DSLR into a professional video camera using just this gimbal. The reinforcement here is pretty decent as well, and you have absolutely nothing to worry about as far as holding your camera is concerned. This gimbal comes with an integrated OLED display for all the metrics pertaining to the camera as well as the gimbal. Further, there's a wireless thumb control that helps you rotate the camera and pan it in the direction of your choice. DSLR gimbals are slightly different from GoPro gimbals. However, the tech behind it is pretty much the same. The battery life of the MOZA Air is rated at 12 hours, which is pretty amazing for a handheld gimbal. It can take a payload of up to 7 lbs, which should cover most DSLRs available today. The company offers a 30-day money back guarantee and a 12-month warranty with the product. 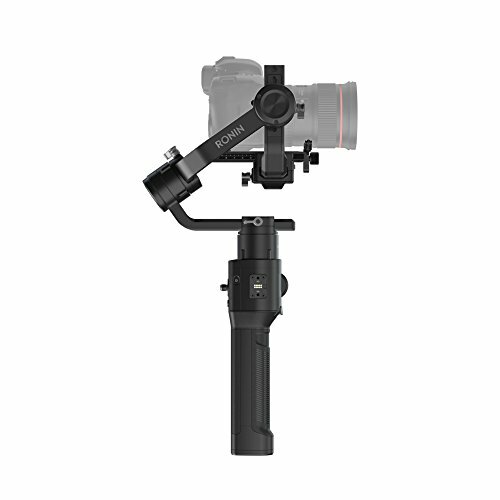 DJI, the makers of Osmo, also have their very own DSLR gimbal. Unlike other gimbals, however, this one allows you to use it with just one hand, allowing you to take quick videos of the places around you. However, given the form factor, this might be a little tedious for longer video recordings. The Ronin-S comes with a pretty durable and sturdy construction, holding together your DSLR safely. It works with a wide range of DSLRs as well as mirrorless cameras, which means the compatibility list is fairly long with this product. It is designed to help you shoot videos when you're on the move, and the Ronin-S does that exceptionally well. Amazon is currently listing this for $899 with Prime shipping included. Roxant might be an unheard of name as far as DSLR gimbals are concerned, but that doesn't change the fact that this is a pretty decent alternative for some of the popular gimbals out there. It's pretty basic, obviously, and it appears more like a handheld tripod than an actual gimbal. The best part about this gimbal is its compatibility. In addition to working with DSLRs, it can also be used on action cameras like GoPro. The company mentions that the design accommodates for "pro style" stabilization, which the customers also vouch for. This can be an excellent tool for indie film makers who want to stay on a low budget. The product is the cheapest on our list with a price tag of just $64.95. Check it out on Amazon.